Prolonging Summer with Cakebread Sauvignon Blanc | What are you drinking? God I love Indian summer. I love the toasty smell of fallen leaves, the chill mornings lit by the glow of Venus and Orion, the top-down heat of the afternoon sun that beckons me to stare into the brilliant blue of the cloudless sky just a little bit longer transported back to dreamy, lazy summer vacation days. It’s a cheat. Its summer reincarnated just weeks after it left. Don’t ya feel like you’ve been given a second chance? I do. This summer I wrote about my love for Sauvignon Blanc on a hot day in the post Suitable Wines for a Summer Romance. Even though summer has officially graduated to fall, this little taste of Indian summer is a perfect excuse to break out a light, crisp bottle of liquid sunshine. Beautiful Wife and I visited Cakebread Cellars last summer and stashed away a bottle of 2007 Napa Valley Sauvignon Blanc for just such an occasion. Cakebread is a family joint in the heart of Napa Valley started in 1973 by patriarch Jack Cakebread. It’s known for delectable Cabs, Chardonnays and the aforementioned Sauvignon Blanc. Cakebread grows most its Sauvignon Blanc grapes in Rutherford with some sourced in other various vineyards in the Napa region. Mother Nature has some fantastic building blocks to create tasty wine in that blessed valley in California, but it’s nothing that couldn’t be enhanced by a little artistry. Winemaker Julianne Laks blends 4% Sauvignon Musqué and 7% Sémillon in the Sauvignon Blanc for enhanced aromatics, softer acidity and brighter citrus. Cakebread further coaxes complexity and intensity from the grapes by fermenting and aging the wine in a combination of tank-fermentation and in neutral French oak barrel aging; fermentation and aging in barrel; and tank-fermentation with no barrel aging. That seems like a lot of work, but it’s worth it. Look Harvest moonbeams in a glass slipper, staying at the party well past midnight. Smell Flinty oyster shells and lemon rind left on the plate after a picnic. Plenty of grapefruit and kiwi left for desert. Taste Intense as an Indian Summer that knows its days are numbered. A rich harvest of melon, grapefruit, lemon zest and honeysuckle with a nice balance of crisp mineral with an undertone of vanilla oak for a lasting finish. Yankee haters across the nation, put on you rally caps because we are going to stretch this summer into extra innings. 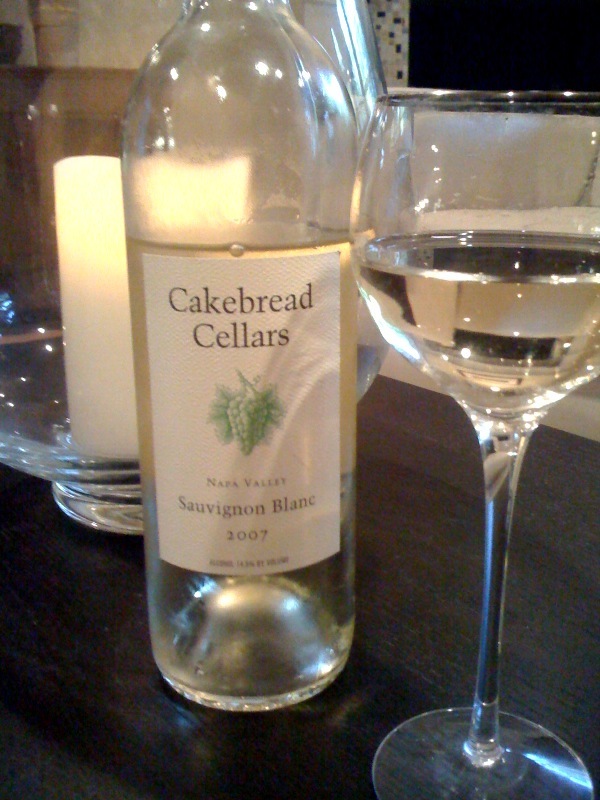 If you want to hold on to that summer ease for just a little longer, give this Cakebread a try. You’ll feel like going for a swim in the lake before you finish the second glass.